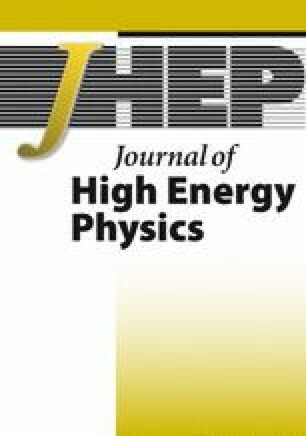 Effective Flavour Models do not address questions related to the nature of the fundamental renormalisable theory at high energies. We study the ultraviolet completion of Flavour Models, which in general has the advantage of improving the predictivity of the effective models. In order to illustrate the important features we provide minimal completions for two known A4 models. We discuss the phenomenological implications of the explicit completions, such as lepton flavour violating contributions that arise through the exchange of messenger fields. M. Hirsch, J.C. Romao, S. Skadhauge, J.W.F. Valle and A. Villanova del Moral, Degenerate neutrinos from a supersymmetric A 4 model, hep-ph/0312244 [SPIRES]. M. Maltoni and T. Schwetz, Three-flavour neutrino oscillation update and comments on possible hints for a non-zero θ13, PoS(IDM2008)072 [arXiv:0812.3161] [SPIRES]. G.L. Fogli, E. Lisi, A. Marrone, A. Palazzo and A.M. Rotunno, What we (would like to) know about the neutrino mass, in the proceedings of 4th International Workshop on Neutrino Oscillations in Venice: Ten Years after the Neutrino Oscillations, April 15–18, Venice, Italy (2008), arXiv:0809.2936 [SPIRES]. A. Gando et al., Constraints on θ13 from a three-flavor oscillation analysis of reactor antineutrinos at KamLAND, arXiv:1009.4771 [SPIRES]. I. de Medeiros Varzielas and G.G. Ross, Family symmetries and the SUSY flavour problem, hep-ph/0612220 [SPIRES]. F. Feruglio, C. Hagedorn, Y. Lin and L. Merlo, Lepton flavour violation in a supersymmetric model with A 4 flavour symmetry, arXiv:0911.3874 [SPIRES].